To the uninitiated, choosing the right winter jacket can feel like wandering in a blizzard. Inundated by tech specs, numbed by price tags, and frozen by an ever-expanding list of acronyms that really just mean “this should keep you dry.” It’s enough to put even the most confident buyer on ice. To their credit, most outdoors brands stake their marketing on customer education. Unfortunately for any would-be buyers, that education often takes the form of exploding animations and spurious branded trade names. If you thought Nike Lunar vs. adidas Bounce was a lot of fuss over comparable technologies, welcome to the world of H2No, HyVent, NanoPro, and Omni-Tech. Fashion brands, on the other hand, are particularly notorious offenders in this game of winter jacket jargon jam. As market tastes shifts towards performance wear, brands who’ve staked their claim on high-cost artisan fabrics simply export their price structure to plasticized, machine-woven technical textiles with nothing but logo recognition and a few lines of tech-tinted product copy. The simple truth is that most will interpret a high price tag and matte black nylon as signals of quality; in reality, not so much. 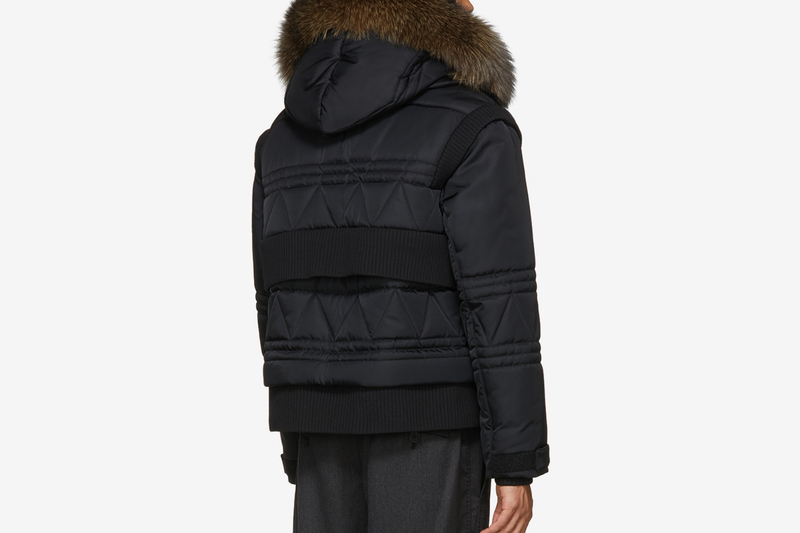 While a “Made in Italy” story and four-digit price tag may signal quality in suiting, for anything longer than a walk between subway stations, a $3000 Fendi tech jacket is no better suited at keeping you warm than a Costco softshell around 1 percent its price. In practice, most winter jackets are considered either “all-in-one” coats that combine insulation with weatherproof facing (think your standard North Face parka), or, as individual parts of a layering system that considers insulation and “shell” layers to be separate jackets. As you might guess, buying individual layers gets expensive quickly. However, the ability to swap layers in and out – fleece in the fall, down in the winter – provides a degree of flexibility that not even the most breathable down parka could ever hope to match. At the end of the day, the decision to buy layers or a single winter jacket is mostly personal preference: if you’re going from your apartment to the subway to the office, a single jacket to take on and off is a lot less hassle than pulling two zippers each time you go indoors. Starting outside-in: the face fabric. As its name suggests, a “face fabric” is the fabric that covers the outside of a jacket. As its name also suggests (perhaps rather poetically), the face fabric is the surface that faces the elements – your first line of defense against cold and wet. 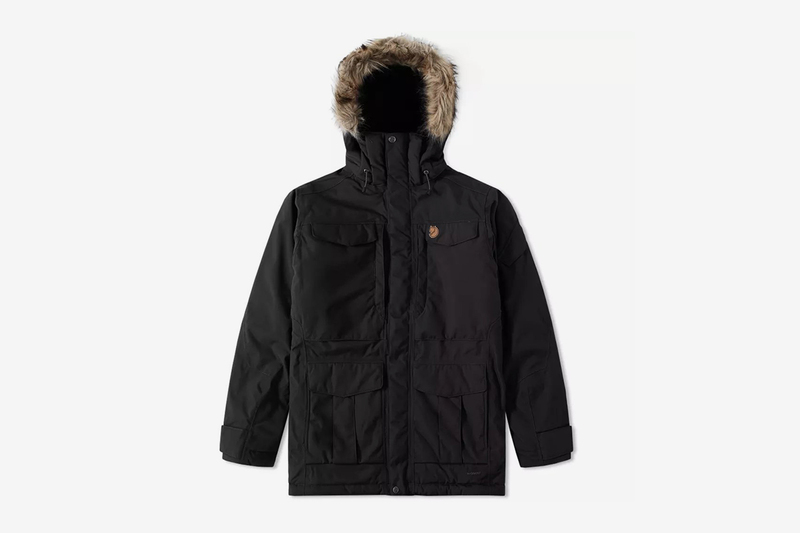 If a description for a parka ever lists the “shell” or “body” as being made of a certain material, that material is the face fabric. When picking out the right winter jacket, facial recognition is essential. The backbone of the global fashion industry, cotton is — surprise, surprise — rather common in outerwear. 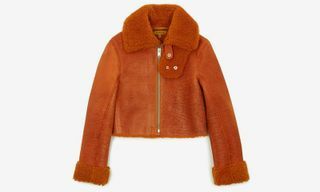 It’s cheap, familiar, and readily dyed and cut, making it a frequent choice for aesthetic-oriented outerwear across the spectrum, from ASOS truckers to this Marc Jacobs field jacket. From a style perspective, cotton is the most versatile face fabric: corduroy, flannel, denim, and duck canvas are all variations on cotton weaves. There is, however, a rather dramatic downside. Cotton garments can absorb up to 27 times their weight in water, meaning prolonged dry-out times and clammy skin. In addition, cotton fibers lose their insulating properties (i.e. their ability to make you warm) when they get wet. Hanging up a soaked-through hoodie after spring rains is one thing; shivering under frozen canvas layers is a whole other animal. When it comes to capable natural face fabrics, wool is anything but sheepish. A staple of Western outerwear dating back to pre-Roman Europe, woolen garments are typically defined by their warmth, texture, weight, and rudimentary all-weather capability. Everything from Navy surplus to ultra-fine cashmere topcoats is made of wool – and the reason why goes way beyond its pleasant hand-feel. As compared to cotton, wool (particularly merino wool) is naturally moisture-wicking, retaining up to 36 percent of its weight before feeling wet to the touch or losing insulation. Wool also pulls double purpose as an insulator itself, meaning a single layer of wool provides both warmth and weather resistance. In addition, wool is generally lighter on the environment than cotton. Maybe Rocky was onto something. The world’s oldest fabric is also, performance-wise, perhaps its most capable organic. Leather contains many of the resilient and weather-resistant properties of your own skin, and compared to cotton and wool, is eons tougher against bumps, scrapes, and closing subway doors. Plus, the right leather jacket just looks badass. Unfortunately, due to its method of fabrication (raising then killing live animals), leather is generally quite a bit more expensive than any other common winter face fabric. When bought new, entry-level jackets will cost a few hundred dollars, which is quite a price to pay considering that unlined leather is – to borrow a phrase – damn cold in the winter. Then, there’s the potential ethical quandary that accompanies leather’s aforementioned method of production. In short: capable but pricy, handsome but divisive, and sometimes really cool ones are worth more than a used car. Cotton, meet Cotton 2.0. After World War II, American chemical giant DuPont introduced the world to “PETE,” a mix of alcohols and carboxyl acids known as “Polyester.” It was the textile industry’s first mass-produced synthetic fiber, and by the end of the 1950’s, had become an integral part of the American wardrobe. Rather than displace cotton (which was, as is today, still incredibly cheap to work with), polyester was soon integrated into cotton knits to lend performance to the latter and familiarity to the former. History lesson over. 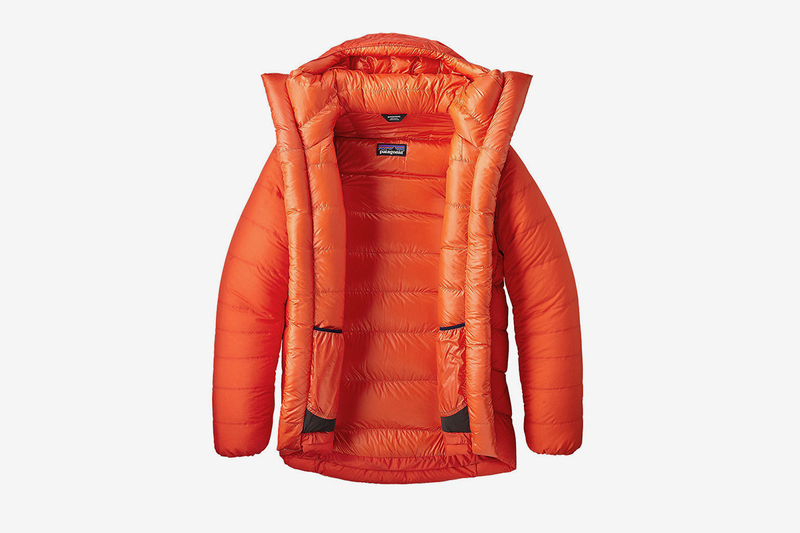 Long story short: the advent of cotton-poly blends coincided with the design of apparel the world now considers “retro outdoors gear.” A North Face Purple Label jacket labeled “65/35” is composed of cloth made from a blend of 65 percent Polyester/35 percent cotton. Unfortunately, that means it’s still approximately 35 percent subject to the same downsides that make cotton a four-letter word in the modern outdoors community. Does a suboptimal face fabric make Purple Label any less gorgeous? In my opinion, not at all. Dress lesson over. If cotton was the weak point of a cotton-poly jacket, why not cut out the middleman? Starting in the late 1990’s, a new kind of fabric emerged as a light, breathable alternative to traditional nylon hardshells (more on those in a tick). Called “softshell,” this textile – made of knit polyester, but often including nylon and spandex for extra versatility – would go on to revolutionize light jackets. 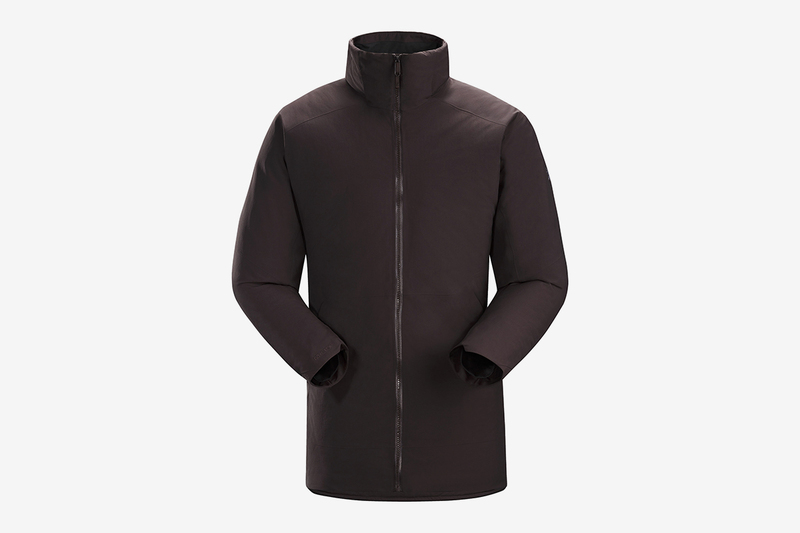 In fewer words: softshell is soft, foldable, breathable, weather-resistant, and provides its own light insulation. Its clean, polished aesthetic even influences luxury outerwear today. That being said: if you want the weather to truly stay out, soft just won’t cut it. Imagine a rain jacket. Now, imagine a winter parka. The smooth, shiny fabric covering each is nylon. Introduced by DuPont in the 1930’s, nylon (the most famous brand name for “polyamide”) first found a home making women’s stockings before proving its technical chops in Allied parachutes during World War 2. Nylon is, at its core, spun plastic threads. As you can imagine, tightly woven plastic can do a pretty good job at keeping out the elements. While nylon may not be as breathable as softshell or as comfortable against skin as an organic fabric, its weather-proof properties make it the predominant face fabric in the world of winter jackets. Case in point: nylon is often the face fabric to which a GORE-TEX waterproof membrane is attached. 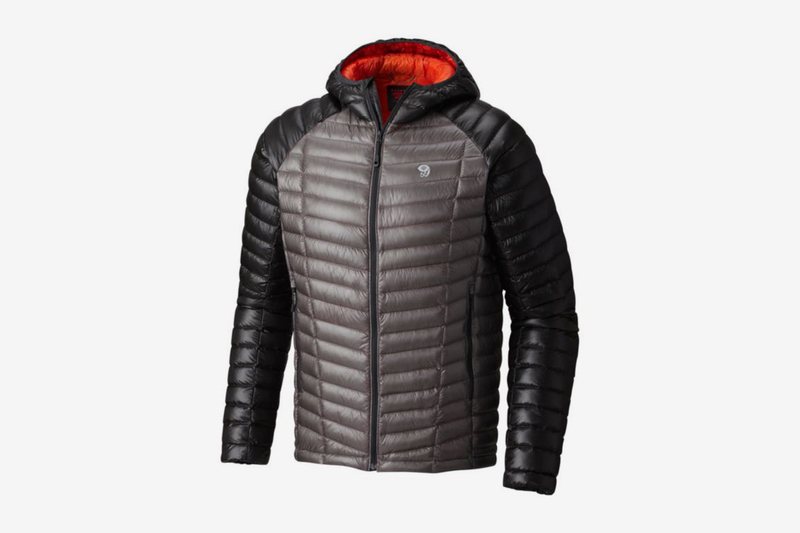 In contrast to softshell, a “shell” (outer layer jacket) made from crinkly nylon – when attached to one of the weatherproof membranes we’ll discuss below – is often described as a “hardshell.” Not all hardshells necessarily have nylon face fabrics, but from $99 North Face jackets to $1,700 Acronym hardshells, thrift store windbreakers to Moncler parkas, nylon is everywhere, and with good reason. Now, it gets all warm and fuzzy. While face fabrics face the elements, a single layer of fabric doesn’t provide much warmth in sub-freezing temperatures. That’s where “insulation” comes in. The function of insulation is – wait for it – insulating. The most effective way to warm the body involves trapping air next to the skin, then warming that air through the body’s natural heat. 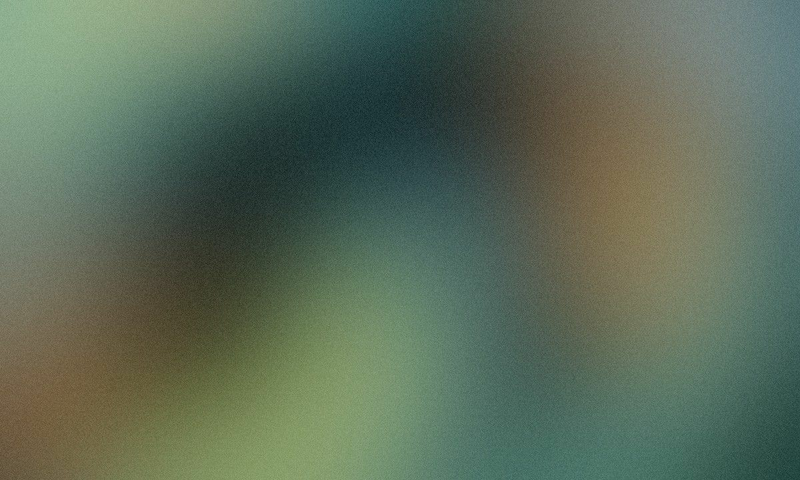 Hence, conventional insulation materials like fleece and down are essentially just different ways to suspend air as close to the skin as possible. 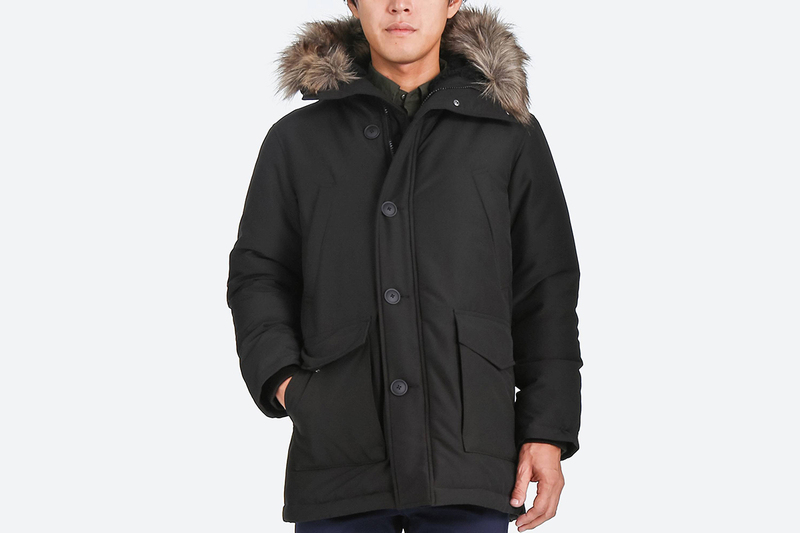 In a standard winter parka, the insulation layer is a lining sewn to the inside of the face fabric. Fair warning: there’s no realistic way to measure how every individual’s body will react when warmed in the cold, so consider any brand-provided temperature ratings as more guidance than gospel. The insulation types covered below are ordered, according to experience, in a general trend of least to most warmest in wet weather conditions. If suspending air is the job of an insulation layer, suspending an insulating material over a grid pattern (in this case, typically polyester or Thinsulate) maximizes the amount of air it can trap. 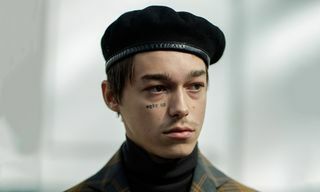 Non-down quilted layers are cheap, lightweight, and therefore incredibly common: from heritage Barbour jackets to sacai shirt jackets, quilted liner jackets are an integral part of the “vintage reference” aesthetic popularized by many of today’s top brands. Plus, if Supreme is to be believed, quilted synthetics are the hypest insulators this side of a North Face collab. Speaking of Supreme: there’s retro high-pile fleece. 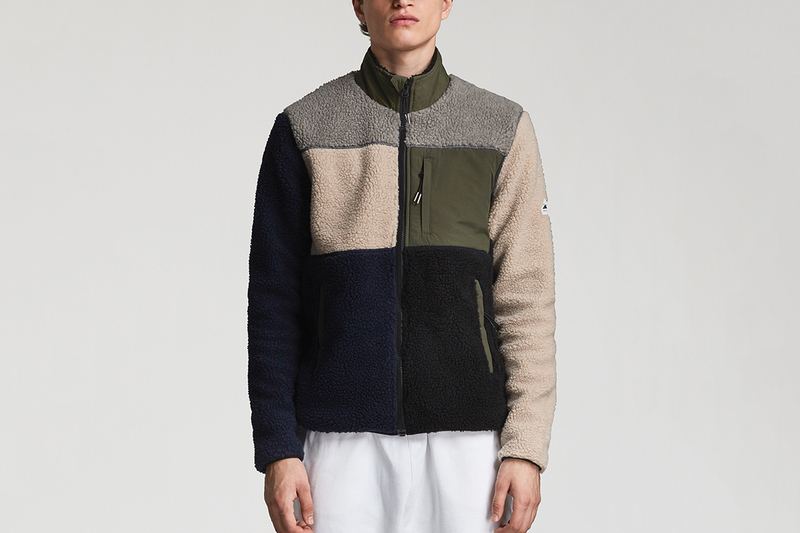 Also known as “Sherpa,” high-pile fleece is a two-sided fabric made from cut polyester fibers, providing a multitude of nooks and cranny in which to trap air. Polyester fleece is moisture-resistant, lighter than wool, and above all, breathable, qualities which made it a popular choice among hikers in the late 1980s. 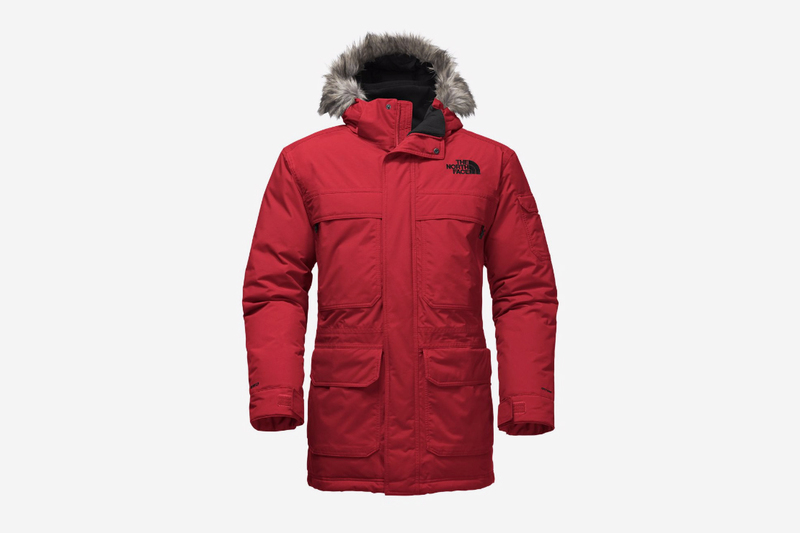 The most famous example of High-Pile Fleece: The North Face’s iconic Denali Jacket, a zip-up made from Polartec, a fleece maker famous for supplying insulation to the US Military. 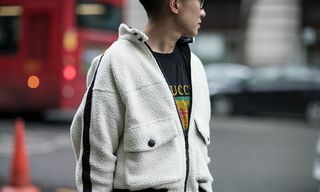 The choice of Batman villains and street style stars alike, coats featuring shearling linings are made from the skin of a recently-sheared sheep that has been tanned with the fur left on one side. What shearling lacks in technical versatility, it redoubles in warmth and style. The bad news: because shearling is essentially a more delicate preparation of leather, it doesn’t come cheap. In 1936, a Seattle outdoorsman named Eddie Bauer introduced the world to down insulation. As it turns out, the natural structure of a goose’s down feathers (or a duck’s – no material difference, FYI) is supremely good at suspending air next to the skin as long as there’s room for air to be trapped. If those same feathers were then held in a pattern that prevented them from collapsing into a makeshift pillow (i.e. in stitched pockets), humans could take advantage of their exceptional warming properties. Compared to the heavy wool coats of his day, Bauer’s Skyliner down sweater was a seismic shift for both fashion and the outdoors. 80 years later, down remains the gold standard for winter jacket insulation. Compared to every other insulator, down is lighter, more packable, and dramatically warmer by weight. Down’s effectiveness is even easily quantified: how many cubic inches one ounce of down can fill (i.e. the volume of air it can theoretically trap) is rated as its “fill power,” with most jackets falling between 450 and 900 fill. 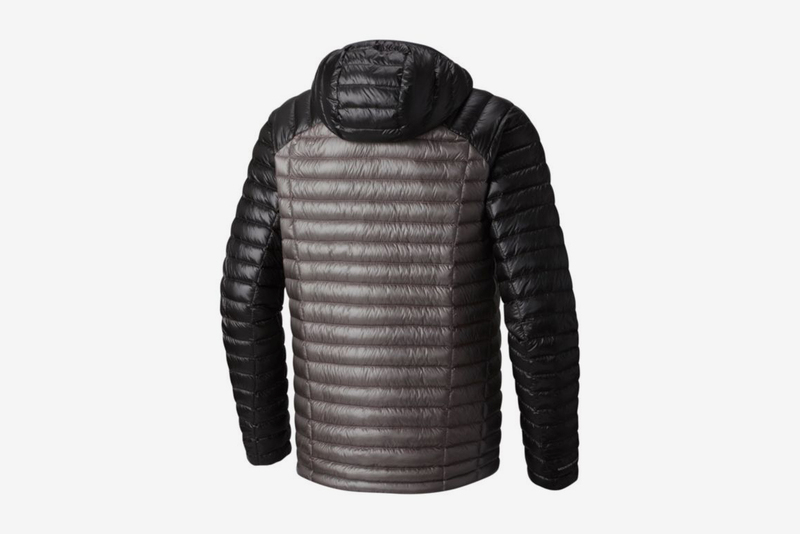 While a lot of low-fill down will always be warmer than a shred of 900 fill, performance jackets made from high-fill down – like, for example, the 850 fill Arc’teryx Cerium SL – will provide the same warmth at lighter weights than their lower fill cousins. The Cerium SL mentioned prior weighs 6.5oz, yet is warm enough to face nearly any climate on Earth. Mr. Bauer, eat your heart out. However, that’s not to say that down insulation is perfect: if the fabric surrounding down (typically nylon) gets too wet, the feathers inside will stick together, collapsing the air pockets keeping you warm and negating its effects. It is also, like leather and shearling, typically more expensive. 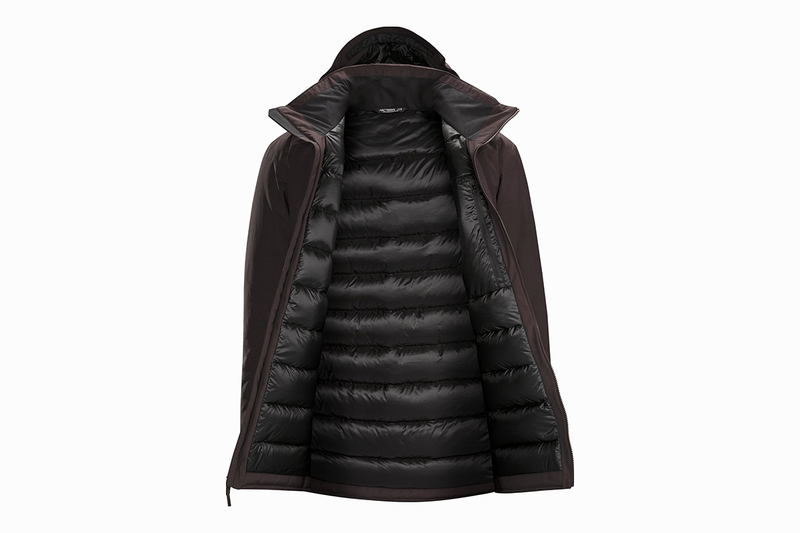 Worn as the liner of a jacket or as part of a layering system (more on that later), down insulation is hard to beat. 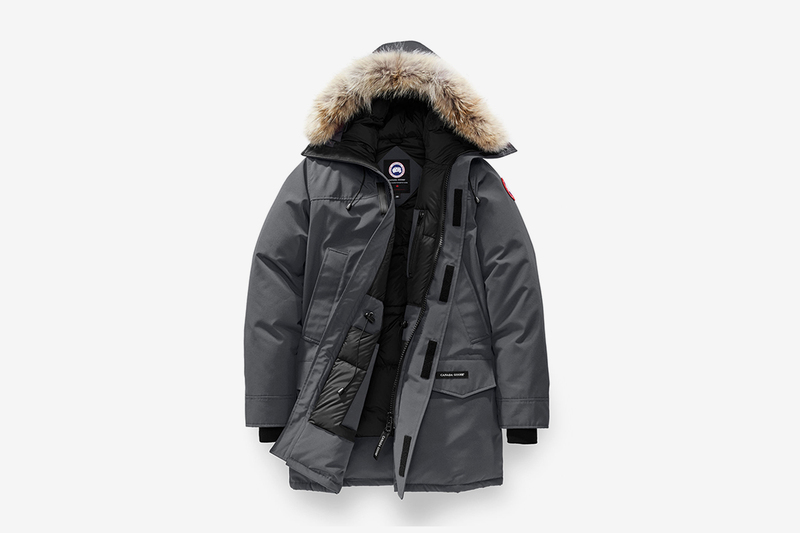 Famous 100 percent down jackets include the Moncler Maya, Canada Goose Expedition, and North Face Nuptse. If that whole “shivery when wet” part raised an eyebrow on down insulation, you’re not alone. Synthetic loft insulation (the name to know: Primaloft) was developed in the early 1980s as a water-resistant alternative to goose down, and while it was originally less potent than down, has since functionally equalized. 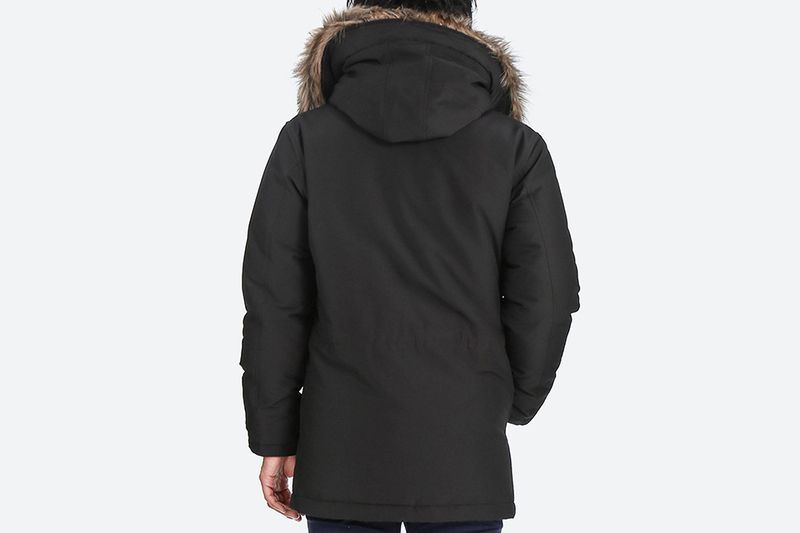 For many, down vs. synthetic polyester loft is purely an emotional choice: purists may prefer feathers, but synthetic lofted coats like Fjallraven’s supremely-warm Yupik Parka would give any down parka a run for its money. Take an age-old industry standard. Add synthetic fibers for performance when wet. If you’re recognizing a pattern, you’re not alone – the story of hybrid down mirrors many other winter jacket innovations. However, unlike cotton-poly face fabrics, hybrid down blends like Goldwin’s Kodenshi Down offer materially significant improvements over their organic cousins. 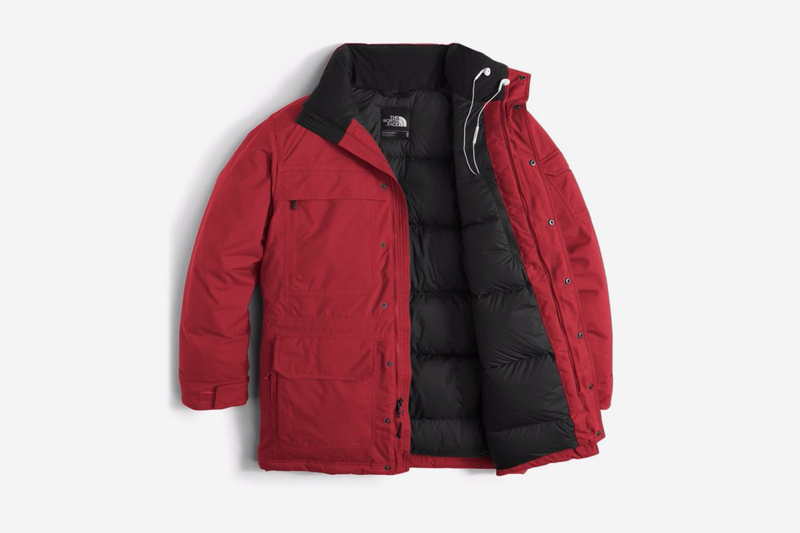 Synthetic fibers act to either amplify the insulating of or wick water away from down feathers, while also typically reducing a jacket’s cost as compared to a pure down coat. On the cost-savings side, hybrid down jackets like Columbia’s Barlow Pass parka cut whole digits the price tag of comparable coats. 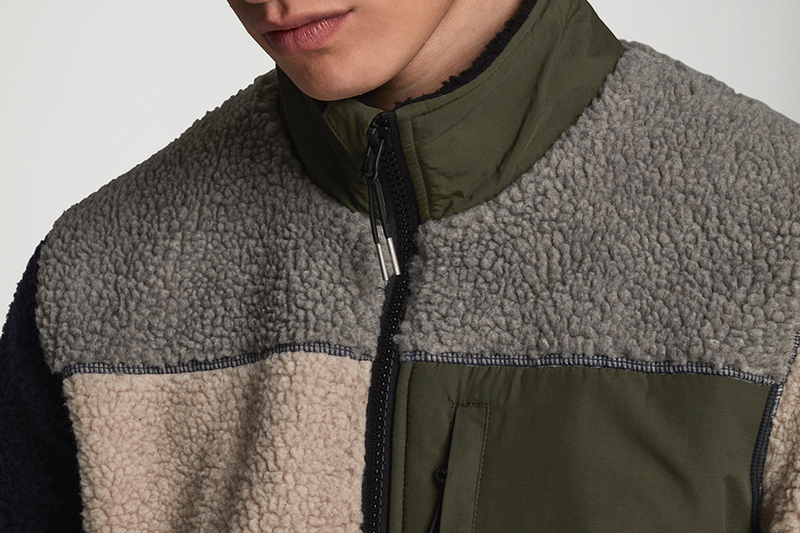 On the performance side, Goldwin’s Hooded Spur jacket provides all-weather down capability in a sleek, stylish package comparable to pure down luxury outerwear. While every street stylist and techninja alive may know the brand name, GORE-TEX is more than just a code phrase for “expensive.” Invented in 1969, GORE-TEX was the first breathable, microporous, waterproof polytetrafluoroethylene (PTFE) membrane introduced to the world of apparel. Often sandwiched between two layers of synthetic fabrics (hence, “GORE-TEX 3L fabric”), PTFE membranes work by exploiting the pressure difference between the warm air next to your skin and the colder world outside. In the case of GORE-TEX, tiny micropores – around 9 billion per square inch – prevent significantly-larger drops of rain and snow from passing through the membrane on size difference alone. On the inside, molecules of relatively warm sweat and water vapor (remember, for air, “warm” = “low pressure”) will naturally rise away from the skin. Because a water molecule is around 700 times smaller than a membrane’s micropores, it will pass easily through. In short: drops of water can’t get in, but vaporized water can get out, creating a waterproof jacket that takes significantly longer to “wet out” (i.e. let water in because the humidity/sweat build-up inside your jacket is higher than outside world) than any alternatives. While GORE-TEX may have been the first waterproof PTFE membrane, it’s far from the only one on the market: eVent and NeoShell perform essentially the same with slight tweaks for performance, and often at a lower price point. 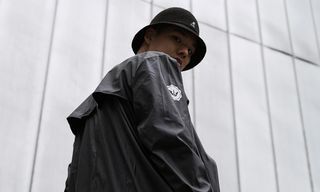 But hey, if you like the looks of that White Mountaineering hardshell, a waterproof GORE-TEX membrane is just as guaranteed to keep you dry. Potent. Powerful. Brand-name expensive. For most conditions one faces off the trail, a GORE-TEX hardshell is luxurious overkill, akin to driving a Range Rover through New York traffic. If you’ve got the budget, more power to you; if you’d rather not spend half your rent on an Arc’teryx Alpha SV, Polyurethane (PU) Laminates will keep you warm and dry for nearly every off-piste adventure. Compared to the pressure gradients powering waterproof membranes, PU laminates are deceivingly simple. A nylon face fabric is bonded to a waterproof polyurethane membrane with holes too small for water to get in from the outside. Then, if the fabric is labeled as a “2.5L” as it is on common rain shells, a “half-layer” charcoal print is applied to the jacket’s lining to help keep the PU fabric off the skin. Open and shut. Polyurethane laminates aren’t breathable to the same degree that PTFE membranes are and will therefore typically “wet out” within half an hour of constant rain exposure. However, if all you need is a capable shell for the morning commute, it’s hard to argue with the price point of a 2.5L jacket. 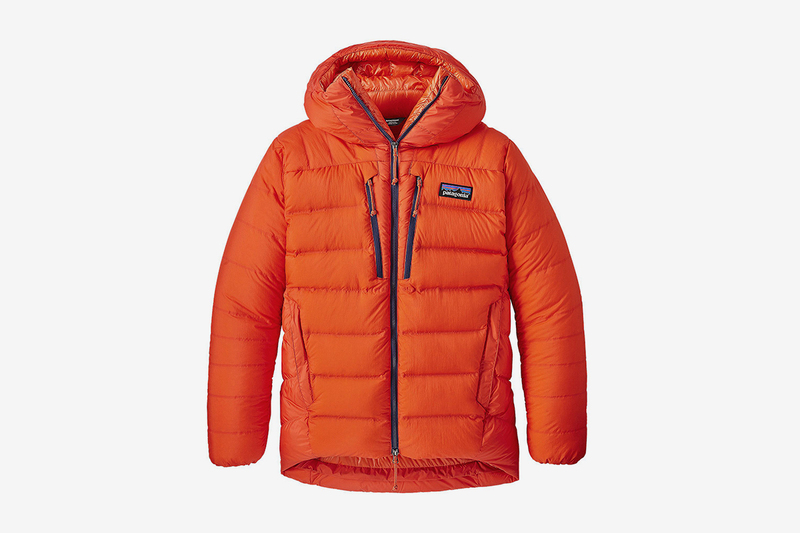 Patagonia’s Torrentshell costs a mere $129. 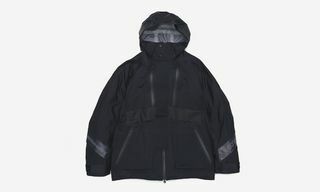 Their cheapest membrane jacket, the Storm Racer, is almost twice the price. An extra $120 goes a long way towards… well, anything else. DWR (“Durable Water Repellant”) coating is the technical apparel industry’s go-to jaw-dropper. Available in both spray-on and wash-in varieties, DWR is a hydrophobic solution applied to fabrics that makes water “bead up” on contact. More importantly, it’s the reason membranes and laminates work as intended. Without DWR, even synthetic face fabrics would become saturated in sustained rain or snow, dramatically reducing breathability and in turn letting water through. 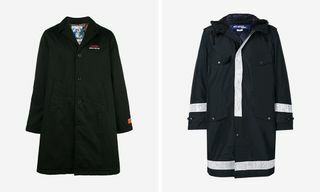 Unfortunately, the same chemicals that give DWR its water repellency also make it less than eco-friendly, making it one of the few true “necessary evils” of the winter wear world. Yet, due to its effectiveness and relative versatility, DWR coatings are commonly applied to even the most basic wardrobe staples to grant them new life as highly-marketable “winterized” versions of popular items. On nylon and GORE-TEX, DWR is a necessary part of the performance equation; on a cotton canvas sneaker, not so much. Especially when you consider that DWR coatings wear off through use, that “water-resistant” (not proof, mind you) sneakerboot may not be as winter-ready as you think. Nature’s solution to DWR comes in the form of beeswax. Popularized by British heritage brand Barbour, cotton fabrics treated with a bar of heated wax exhibit many of the water-repellant properties as DWR at a fraction of the environmental cost. While ultimately not as effective as a synthetic coating, a thorough waxing will keep water out of any fabric porous enough to accept it. In the present, sustainability-minded Swedish outdoors brand Fjallraven recommends wax as the waterproof coating of choice for most of its jackets, including the iconic Greenland No. 1 shell. 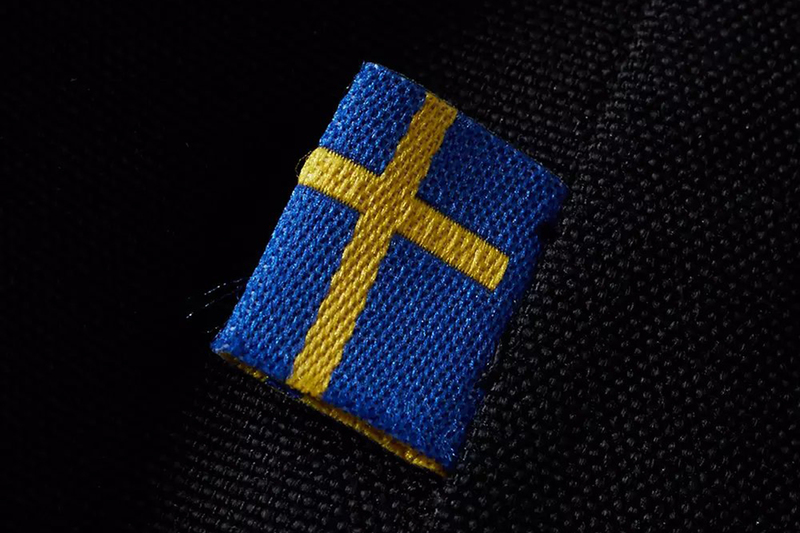 When two pieces of fabric are sewn together, the sewing needle creates tiny holes through which to pull its thread. Even with all the DWR-coated nylon and GORE-TEX in the world, a needle hole is a needle hole – unless those holes are covered and sealed, water’s getting in. “Taping” a seam (applying a strong nylon cloth with a waterproof rubber backing) ensures that the elements stay out. Look for taped seams as a sign of quality on performance jackets like BlackYak’s 3L Shell. If the seams are “critically-taped,” only a few seams deemed most important will be sealed. While “fully-taped” jackets may cost more, if you’re already springing for a top-of-the-line membrane coat, a few extra dollars is worth leaving no holes uncovered. As seam holes create weak points, so do the spaces between the teeth of a zipper. In 1998, Arc’teryx introduced the world’s first water-resistant zipper, a urethane-coated “WaterTight” design that moved the world one step closer to a truly weatherproof winter jacket. Buyer beware: due to their sleek, distinctive aesthetic, sealed zippers are often used as a signaling device for “weather-resistant” in much the same vain as DWR. While no GORE-TEX jacket worth its salt would ever come without a sealed zipper, uncoated cotton sweatpants employ them just as easily when the weather gets cold. Weatherproofing: It’s warmer and dryer than a field jacket. Why we love it: Stylish, full-length insulation for less than price of some retro Jordans. Weatherproofing: Taped seams ain’t retro. Why we love it: Vintage-inspired colorblocking hits an ’80s outdoors staple. Weatherproofing: DWR coating and a raft and a half worth of duck’s feathers. Why we love it: Clean lines, warm down, and conspicuous polish. Any coat from this Drizzy-approved Toronto brand is a status symbol with the quality to prove it. Weatherproofing: Is that really what you want out of this? 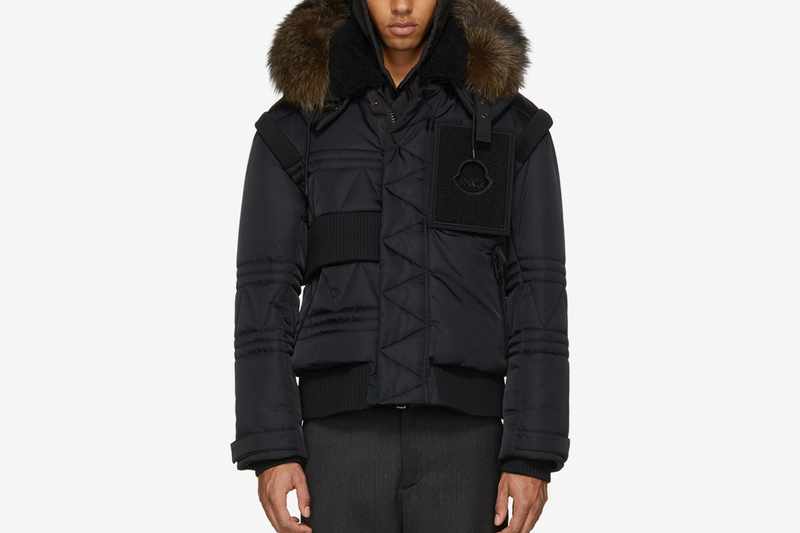 Why we love it: Craig Green’s exaggerated take on a Moncler down bomber is a cold weather flex built for Moscow Fashion Week. Save your pennies. Weatherproofing: DWR, stitched cuffs, and all the wind-killing adjustability imaginable. Why we love it: Patagonia’s next-gen belay parka defines cold weather performance, whether you’re climbing K2 or waiting out the 2 Train. There’s no kill like overkill. Why we love it: Snow-resistant battle armor for a fight against the elements. Word of advice: don’t zip up until you’re already outside. Why we love it: Minimal lines and all the tech you’d ever need; down lining warmer than an attack ship on fire off the shoulder of Orion. Why we love it: Showering in this jacket may leave you drier than you started. Why we love it: 7.8oz of canned heat. Wear a shell over it, but nothing remotely heavy under it. 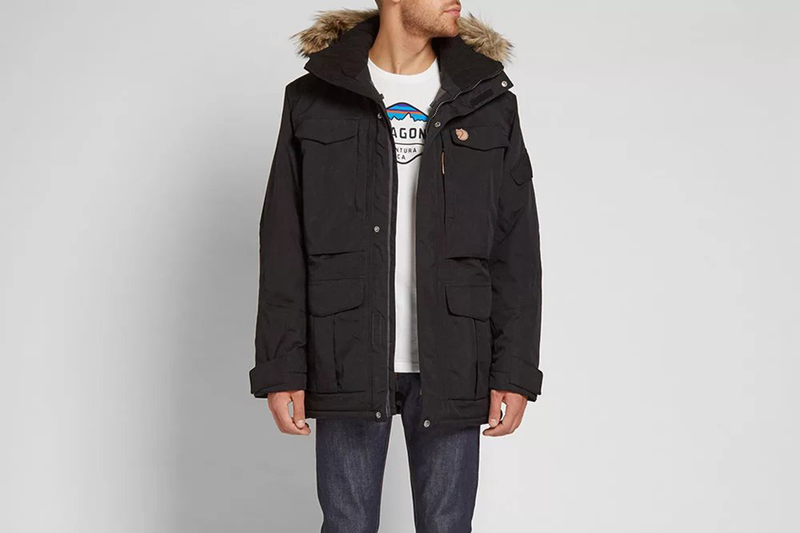 Why we love it: All the warmth, features, and style of a luxury expedition parka for one third the price. Plus, it’s an all-in-one: coming in from the cold is a single zipper and a single coat hook away. As a package, the McMurdo II is hard to beat. This definitive winter accessories guide will help you beat the cold in style. Alex Rakestraw is a writer, strategist, and creative based in New York. He covers fashion, footwear, sustainability, and tech.